The tutorial explains how to hyperlink in Excel by using 3 different methods. You will learn how to insert, change and remove hyperlinks in your worksheets and now to fix non-working links. Hyperlinks are widely used on the Internet to navigate between web-sites. In your Excel worksheets, you can easily create such links too. In addition, you can insert a hyperlink to go to another cell, sheet or workbook, to open a new Excel file or create an email message. This tutorial provides the detailed guidance on how to do this in Excel 2016, 2013, 2010 and earlier versions. An Excel hyperlink is a reference to a specific location, document or web-page that the user can jump to by clicking the link. Opening another document or getting to a specific place in that document, e.g. 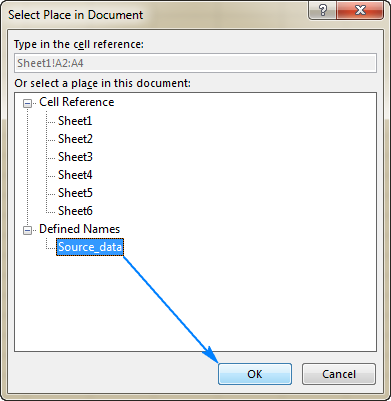 a sheet in an Excel file or bookmark in a Word document. Hyperlinks in Excel are easily recognizable - generally this is text highlighted in underlined blue like shown in the screenshot below. Microsoft Excel supports two types of links: absolute and relative, depending on whether you specify a full or partial address. On the web, it's a common practice to use relative URLs. In your Excel hyperlinks, you should always supply full URLs for web-pages. Though, Microsoft Excel can understand URLs without a protocol. 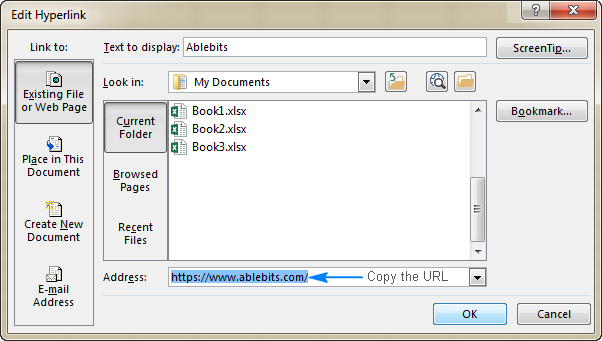 For example, if you type "www.ablebits.com" in a cell, Excel will automatically add the default "http" protocol and convert it into a hyperlink you can follow. When creating links to Excel files or other documents stored on your computer, you can use either absolute or relative addresses. In a relative hyperlink, a missing part of the file path is relative to the location of the active workbook. The main advantage of this approach is that you don't have to edit the link address when the files are moved to another location. For example, if your active workbook and target workbook reside on drive C, and then you move them to drive D, relative hyperlinks will continue working as long as the relative path to the target file remains unchanged. In case of an absolute hyperlink, the path should be updated every time the file is moved to another place. Right click the cell, and select Hyperlink… from the context menu. Press the Ctrl + K shortcut. In the Look in list, browse to the location of the target file, and then select the file. In the Text to display box, type the text you want to appear in the cell ("Book3" in this example). Optionally, click the ScreenTip… button in the upper-right corner, and enter the text to be displayed when the user hovers the mouse over the hyperlink. 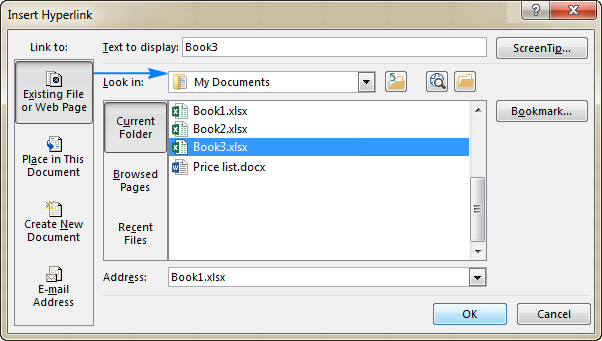 In this example, it's "Goto Book3 in My Documents". 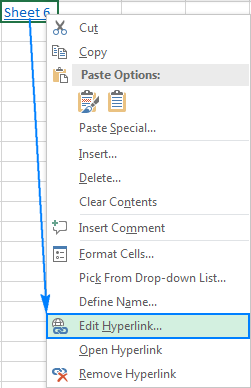 To link to a specific sheet or cell, click the Bookmark… button in the right-hand part of the Insert Hyperlink dialog box, select the sheet and type the target cell address in the Type in the cell reference box, and click OK. Under Link to, select Existing File or Web Page. Click the Browse the Web button, open the web page you want to link to, and switch back to Excel without closing your web browser. 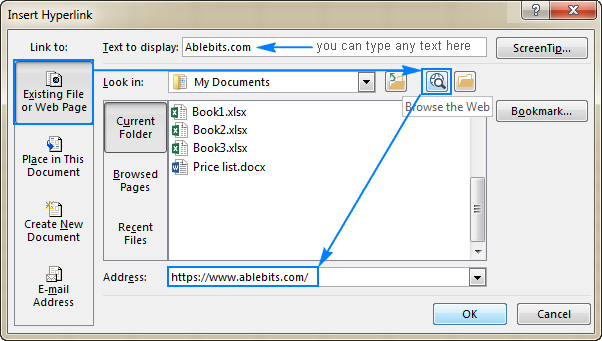 Excel will insert the web site Address and Text to display for you automatically. You can change the text to display the way you want, enter a screen tip if needed, and click OK to add the hyperlink. Alternatively, you can copy the web page URL before opening the Insert Hyperlink dialog, and then simply paste the URL in the Address box. 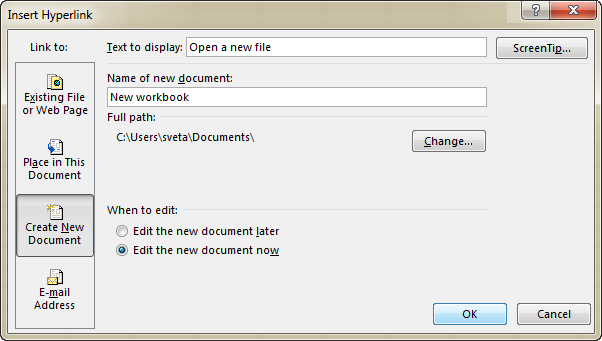 To create a hyperlink to a specific sheet in the active workbook, click the Place in this Document icon. Under Cell Reference, select the target worksheet, and click OK.
To create an Excel hyperlink to cell, type the cell reference in the Type in the cell reference box. To link to a named range, select it under the Defined Names node. Under Link to, click the Create New Document icon. 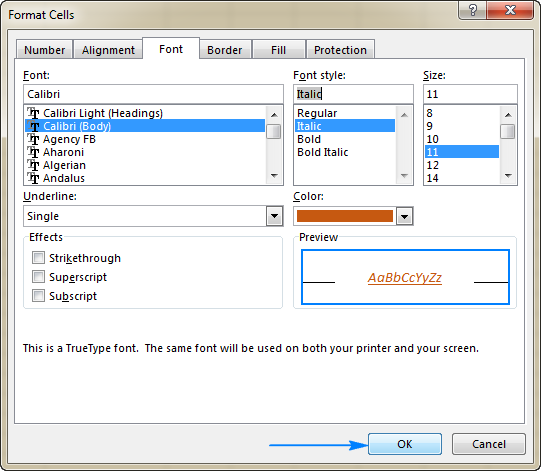 In the Text to display box, type the link text to be displayed in the cell. In the Name of new document box, enter the new workbook name. Under Full path, check the location where the newly created file will be saved. If you want to change the default location, click the Change button. Under When to edit, select the desired editing option. Under Link to, select the E-mail Address icon. In the E-mail address box, type the e-mail address of your recipient, or multiple addresses separated with semicolons. 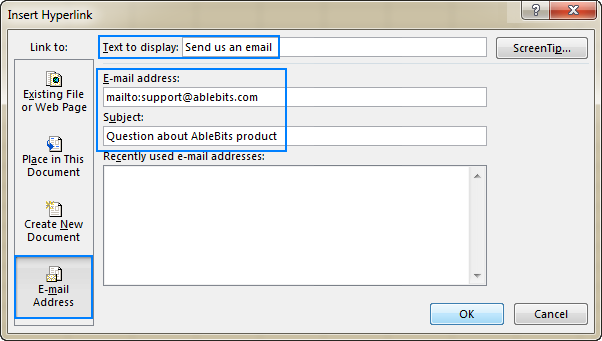 Optionally, enter the message subject in the Subject box. Please keep in mind that some browsers and e-mail clients may not recognize the subject line. In the Text to display box, type the desired link text. Optionally, click the ScreenTip… button and enter the text you want (the screen tip will be displayed when you hover over the hyperlink with the mouse). Tip. The fastest way to make a hyperlink to a specific e-mail address it to type the address directly in a cell. As soon as you hit the Enter key, Excel will automatically convert it into a clickable hyperlink. If you are one of those Excel pros that employ formulas to tackle most of the tasks, you can use the HYPERLINK function, which is specially designed to inset hyperlinks in Excel. It is particularly useful when you intend to create, edit or remove multiple links at a time. Link_location is the path to the target document or web-page. Friendly_name is the link text to be displayed in a cell. For the detailed explanation of the HYPERLINK function arguments and formula examples to create various types of links, please see How to use Hyperlink function in Excel. 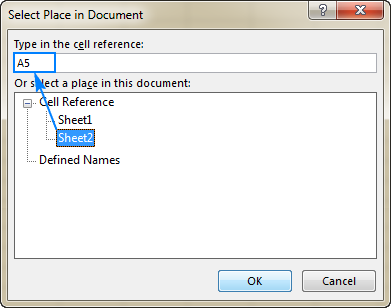 Sheets("Sheet1").Hyperlinks.Add Anchor:=Sheets("Sheet1").Range("A1"), Address:="", SubAddress:="Sheet3!B5", TextToDisplay:="My hyperlink"
Sheets - the name of a sheet on which the link should be inserted (Sheet 1 in this example). Range - a cell where the link should be inserted (A1 in this example). SubAddress - link destination, i.e. where the hyperlink should point to (Sheet3!B5 in this example). TextToDisplay -text to be displayed in a cell ("My hyperlink" in this example). 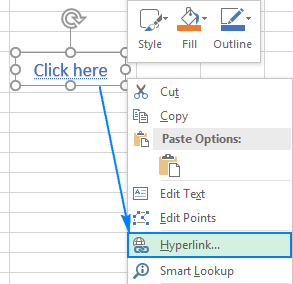 Given the above, our macro will insert a hyperlink titled "My hyperlink" in cell A1 on Sheet1 in the active workbook. Clicking the link will take you to cell B5 on Sheet3 in the same workbook. 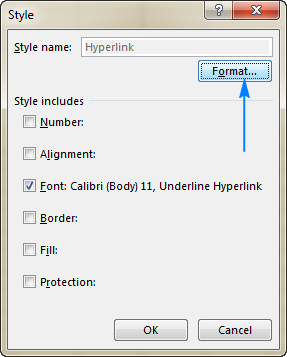 If you created a hyperlink by using the Insert Hyperlink dialog, then use a similar dialog to change it. For this, right-click a cell holding the link, and select Edit Hyperlink… from the context menu or press the Crtl+K shortcut or click the Hyperlink button on the ribbon. Whichever you do, the Edit Hyperlink dialog box will show up. You make the desired changes to the link text or link location or both, and click OK.
To change a formula-driven hyperlink, select the cell containing the Hyperlink formula and modify the formula's arguments. The following tip explains how to select a cell without navigating to the hyperlink location. To change multiple Hyperlink formulas, use Excel's Replace All feature as shown in this tip. Right-click Hyperlink, and then click Modify… to change the appearance of hyperlinks that have not been clicked yet. Right-click Followed Hyperlink, and then click Modify… to change the formatting of hyperlinks that have been clicked. The changes will be immediately reflected in the Style dialog. If upon a second thought, you decide not to apply certain modifications, clear the check boxes for those options. Note. 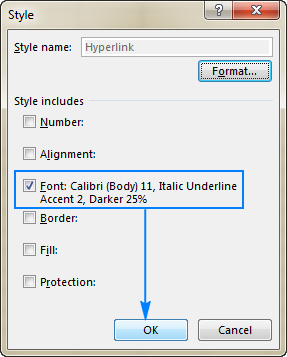 All changes made to the hyperlink style will apply to all hyperlinks in the current workbook. It is not possible to modify formatting of individual hyperlinks. Removing hyperlinks in Excel is a two-click process. You simply right-click a link, and select Remove Hyperlink from the context menu. This will remove a clickable hyperlink, but keep the link text in a cell. To delete the link text too, right-click the cell, and then click Clear Contents. Tip. To remove all or selected hyperlinks at a time, use the Paste Special feature as demonstrated in How remove multiple hyperlinks in Excel. Now that you know how to create, change and remove hyperlinks in Excel, you may want to learn a couple of useful tips to work with links most efficiently. By default, clicking a cell that contains a hyperlink takes you to the link destination, i.e. a target document or web-page. To select a cell without jumping to the link location, click the cell and hold the mouse button until the pointer turns into a cross (Excel selection cursor) , and then release the button. One more way to select a cell without opening a hyperlink is to select a neighboring cell, and use the arrow keys to get to the link cell. There are two ways to extract a URL from a hyperlink in Excel: manually and programmatically. Select a cell containing the hyperlink. Open the Edit Hyperlink dialog by pressing Ctrl + K, or right-click a hyperlink and then click Edit hyperlink…. In the Address field, select the URL and press Ctrl + C to copy it. Press Esc or click OK to close the Edit Hyperlink dialog box. Paste the copied URL into any empty cell. Done! As shown in the screenshot below, the VBA code gets URLs from a column of hyperlinks, and puts the results in the neighboring cells. If one or more cells in the adjacent column contains data, the code will display a warning dialog asking the user if they want to overwrite the current data. Apart from text in a cell, many worksheet objects including charts, pictures, text boxes and shapes can be turned into clickable hyperlinks. To have it done, you simply right-click an object (a WordArt object in the screenshot below), click Hyperlink…, and configure the link as described in How to create hyperlink in Excel. Tip. The right-click menu of charts does not have the Hyperlink option. To convert an Excel chart into a hyperlink, select the chart, and press Ctrl + K.
If hyperlinks are not working properly in your worksheets, the following troubleshooting steps will help you pin down the source of the problem and fix it. Symptoms: Clicking a hyperlink in Excel does not take the user to the link destination, but throws the "Reference isn't valid" error. 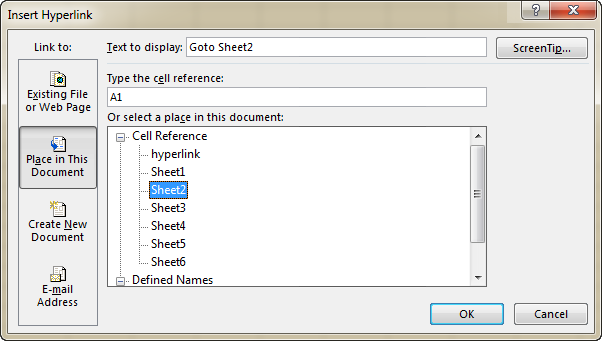 Solution: When you create a hyperlink to another sheet, the sheet's name becomes the link target. If you rename the worksheet later, Excel won't be able to locate the target, and the hyperlink will stop working. 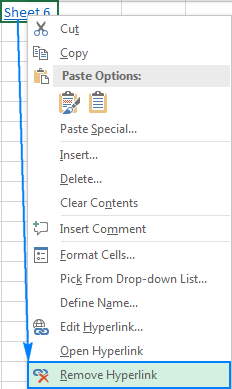 To fix this, you need to either change the sheet's name back to the original name, or edit the hyperlink so that it points to the renamed sheet. If you created a hyperlink to another file, and later moved that file to another location, then you will need to specify the new path to the file. Symptoms: Web-addressed (URLs) typed, copied or imported to your worksheet are not converted into clickable hyperlinks automatically, nor are they highlighted with a traditional underlined blue formatting. Or, links look fine but nothing happens when you click on them. Solution: Double-click the cell or press F2 to enter the edit mode, go to the end of the URL and press the Space key. Excel will convert a text string into a clickable hyperlink. If there are many such links, check the format of your cells. Sometimes there are issues with links placed in cells formatted with the General format. In this case, try changing the cell format to Text. Symptoms: Your Excel hyperlinks worked just fine until you saved and reopened the workbook. Now, they are all grey and no longer work. 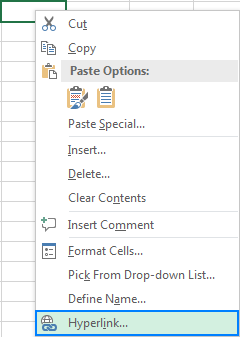 In Excel 2010, Excel 2013 and Excel 2016, click File > Options. In Excel 2007, click the Office button > Excel Options. On the left panel, select Advanced. 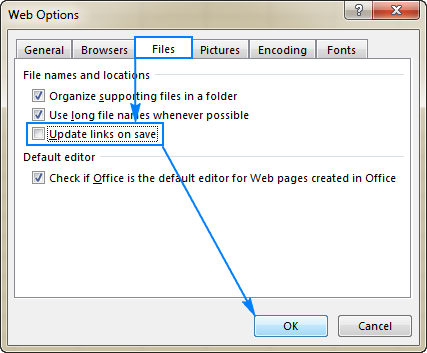 In the Web Options dialog, switch to the Files tab, clear the Update links on save box, and click OK. Symptoms: A link created by using the HYPERLINK function does not open or displays an error value in a cell. Solution: Most problems with formula-driven hyperlinks are caused by a non-existent or incorrect path supplied in the link_location argument. The following examples demonstrate how to create a Hyperlink formula properly. For more troubleshooting steps, please see Excel HYPERLINK function not working. This is how you create, edit and remove a hyperlink in Excel. I thank you for reading and hope to see you on our blog next week! 8 Responses to "Excel Hyperlink: how to create, change and remove"
Woohooo, let's get into more VBA code for automating processes. can anyone help me with some date formula, i wanted to put formula in cell A1 where when you write anything on cell B1, the cell A1 will automatically generates a date for that day.... and on the next day, when you write on cell B2 the the cell A2 will automatically generate a date on the same day but will not affect the cell A1... meaning if today is January 1, 1900 and write anything on cell B1, cell A1 will be dated January 1, 1900 and when i write tomorrow on cell B2, cell A2 will be dated January 2, 1900 but cell A1 will still be January 1, 1900.... hope you can help me. but it would change every day when you work with a document. Probably too later for Ronald, but if anyone else needs how to do this, this code should do the trick. If you need different cells just modify the range for A (cell you are entering data into) and the offset (cell where you want the date filled) as needed. Below works great, thank you! My hyperlinks kept changing when I executed a macro; e.g. backup the workbook. Hoping for some help please. Trying to create a simple index sheet with hyperlinks to each worksheet. The sheet is updated but clicking the link throws "Reference isn't valid." Stepping through debug shows LinkName with the correct worksheetname. However, viewing in Edit Hyperlink shows all links pointing to cell reference "Index." Any & all help very much appreciated. LinkName = S.Name & "!A1"